Pristine Broadmoor New Englander maintained to the nines. Enjoy a beautiful community, so convenient to so much. Excellent schools, local shopping and great proximity to major roads, Broadmoor offers a smart choice! This highly upgraded and maintained New Englander offers wonderful selections, paint colors, and finishes. Completely remodeled quality kitchen and baths are wonderfully adorned with a great selection of wood cabinetry, corion and solid surface counter tops, ceramics, and hardwoods. You will enjoy and appreciate the updates and attention to detail offered in every room; recessed lighting, crown & chair rail moldings, a fine and pleasing paint pallet, classy hardware, and beautiful flooring abound. The first floor is completed with a powder room and very spacious laundry/utility/craft room. 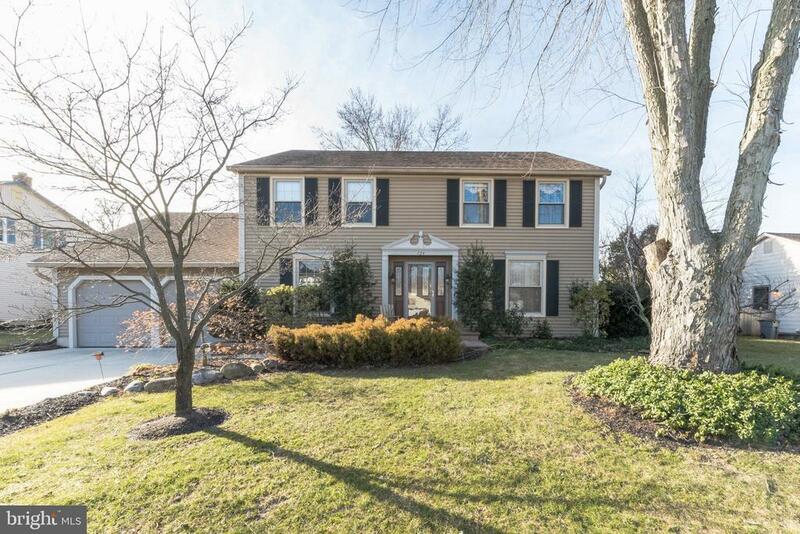 Downstairs you will enjoy a partially finished basement, updated HVAC (4.5 years new) system and plenty of storage. The second floor boasts a true luxury master suite with walk in closets, and a private updated master bath. Three additional bedrooms and a beautiful updated full main bath complete the floor plan. Outside enjoy a replaced roof, a wonderful covered porch overlooking beautifully landscaped grounds and private mature trees. Notice the pure attention to detail inside and out as you tour this beautiful home. You will not be disappointed. Directions: Somerdale Road to Broadmoor Entrance. Take Roberts Drive to Southwick Road to right on Southwick Circle to PIQ on left. Inclusions: Existing Wa, Dr, Ref included but in as is condition.